On International Women’s Day, I was lucky to spend it at Song Kitchen’s relaunch. Why this was such a pleasant way of spending International Women’s day is because Song Kitchen is owned and operated by the YWCA, and all of the profit made from the bar and restaurant goes toward supporting victims of domestic violence. 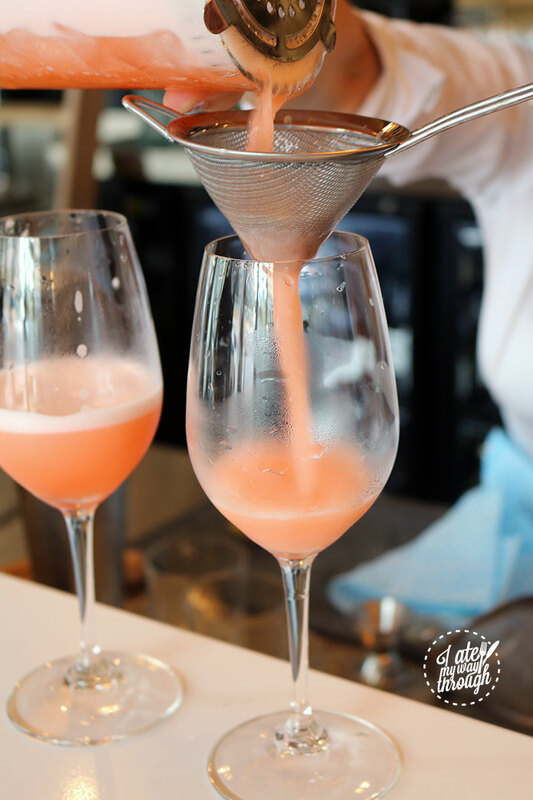 Bright, happy and empowering, Song Kitchen aims to bring people together through great food and drinks, while still assisting in causes dear to the YWCA. 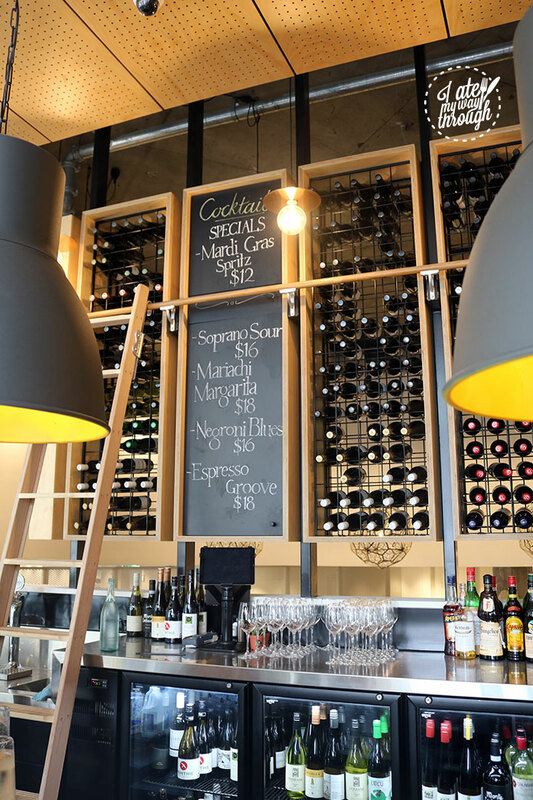 Starting out as an unremarkable hotel restaurant (the Song Kitchen is a part of the Song Hotel), it is now transformed into a bright, multipurpose space where diners can come for a business lunch, friendly dinner or drinks on a Friday afternoon. I got to experience some of the great food from head chef Charlotte Gonzales at a menu tasting held by Song Kitchen and I was impressed at the quality of food. The tasting started with Wapengo oysters ($4ea), served with a mignonette. Shucked to order, they were quite good oysters. 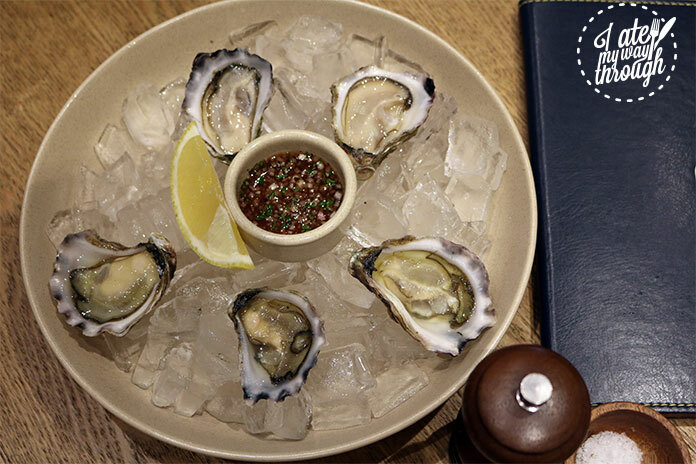 Meaty, salty and paired well with the tangy mignonette, they would be a crowd pleaser as an entree or snack on a Friday afternoon with post work drinks. Which were next out to the tables. 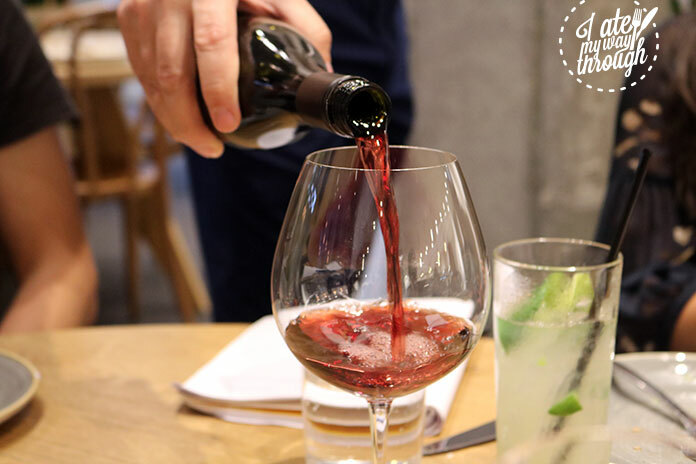 Song Kitchen in partnership with sommelier Sophie Otton have created a fantastic wine list, which they humbly boast is evenly made up of both female and male wine producers or estate owners. Having 50% of their wine list from female producers is yet another great way that they stay true to the messages and causes of the YWCA. On the day we were treated to glasses of the Clonakilla 2015 Chardonnay and Hatherleigh 2013 Pinot Noir which were both excellent glasses. The cocktail I enjoyed was the Soprano Sour ($16), a deliciously tart mix of Aperol, Tanqueray gin, lemon juice and sugar. The bonito crudo ($19) is the Song Kitchen’s take on the traditional ceviche. 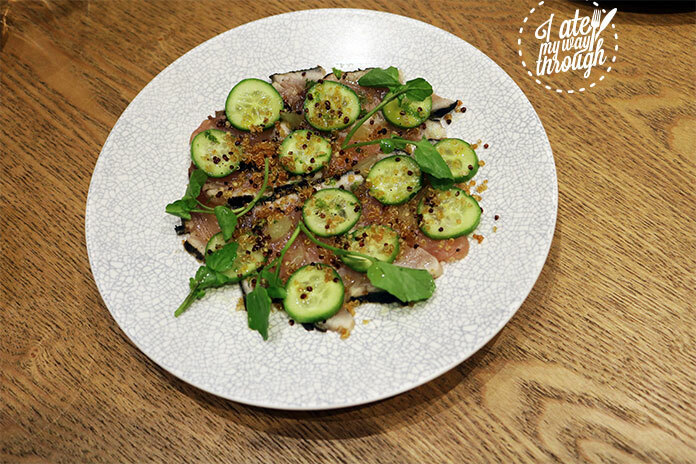 The bonito is blow torched, then layered with cucumber, quinoa, and chilli dressing. The fish is soft, yet still has quite a strong flavour and carries itself against the chilli dressing. The cucumber and quinoa bring some crunch and an earthy freshness to the dish, which was quite pleasant. 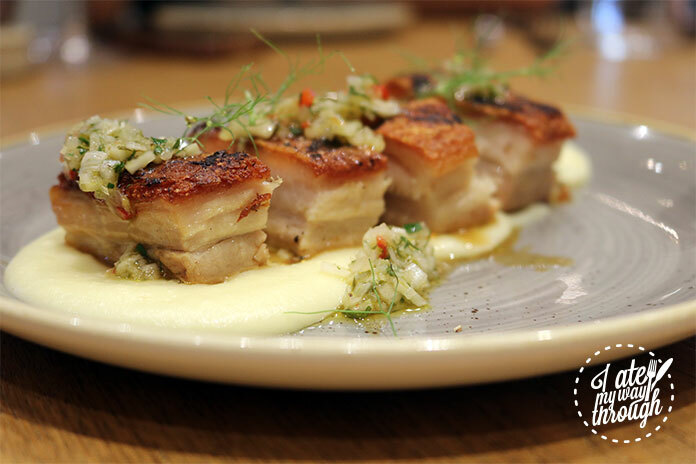 The crispy pork belly ($17) was a real treat. 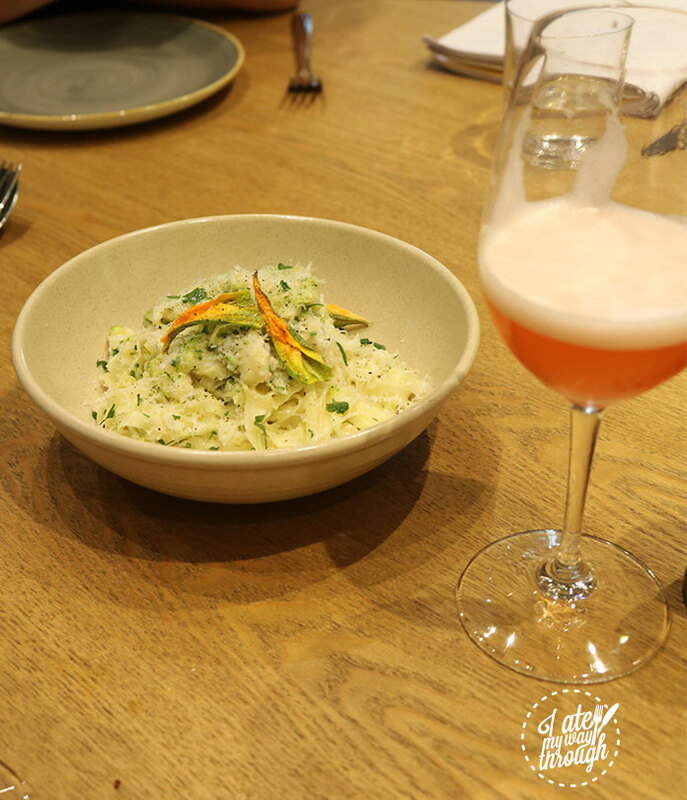 Served with plum puree and fennel salsa on a bed of mash potato, it was a harmony of textures and flavours. The crunch of the crackle paired with the soft but decadent layer of fat underneath. The meat itself was tender and was enhanced by the other elements of the dish like the crunchy fennel salsa and scrumptious mash. 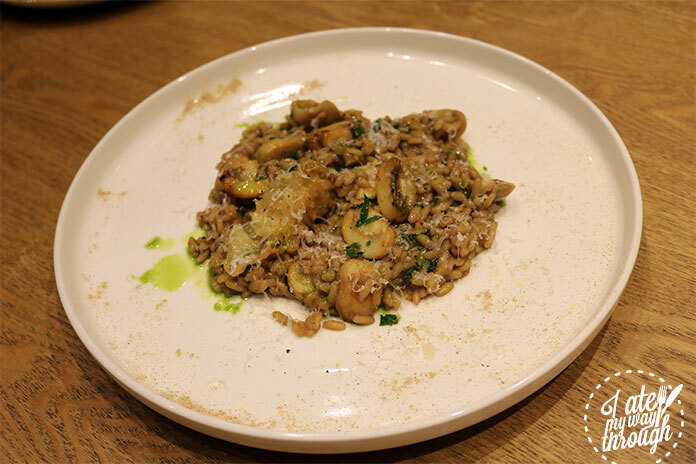 Although the mushroom risotto ($18) was a lunch special, it was one of my favourite dishes presented to us. The sauce was strong and vibrant, with a good amount of basil oil and mushrooms mixed throughout. I felt that this dish was more seasoned than some of Charlotte’s other dishes, as she normally lets the flavours of the ingredients speak for themselves, only using precise, minimal seasoning. It would do well as a lunch time dish on a cooler autumn day. The spinner crab tagliolini ($24) was another crowd favourite of the day. With house made pasta that melted in your mouth, zucchini, chilli, garlic, chives and soft pieces of fresh spinner crab all wrapped together in a buttery sauce what wasn’t there to love about this dish. The zucchini flowers were a nice touch of decoration and a slight sprinkling of cheese finished off the dish to perfection. 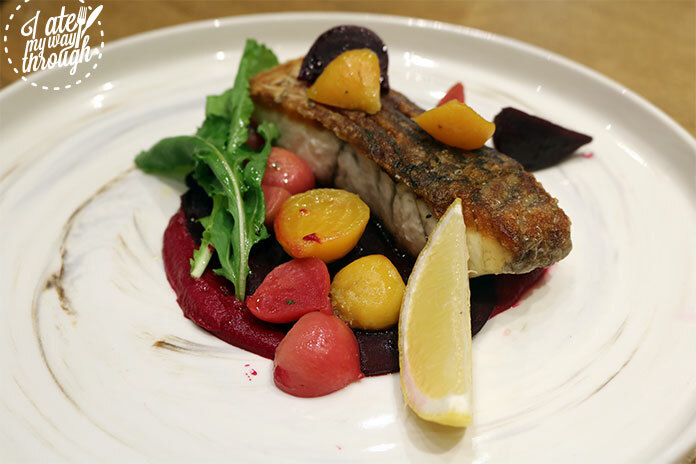 The pan fried barramundi ($34) with beetroot vinaigrette was next to come out to us. I absolutely adore beetroot so this dish already caught my fancy but the colour in the plate really caught my eye. Beautiful and vibrant, with lots of flavour. 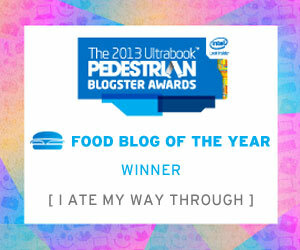 The barramundi had a wonderful crisp skin, but the fish was still so soft. The vegetables with it were superbly done and the beetroot vinaigrette did not disappoint. 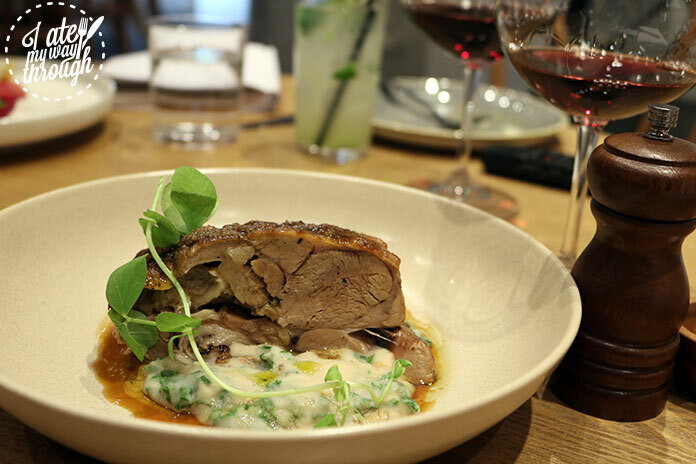 Lastly for the mains was the slow braised lamb shoulder ($36) with cavolo nero and white bean puree. The most dense dish of the day, yet a credit to Charlotte, the meat was still tender and moist and fell away at the touch. It was also beautifully seasoned in a minimalist way that is evident of Charlotte’s style of cooking. She lets the ingredients speak for themselves, which is a great way to show off the produce being used to create these dishes. 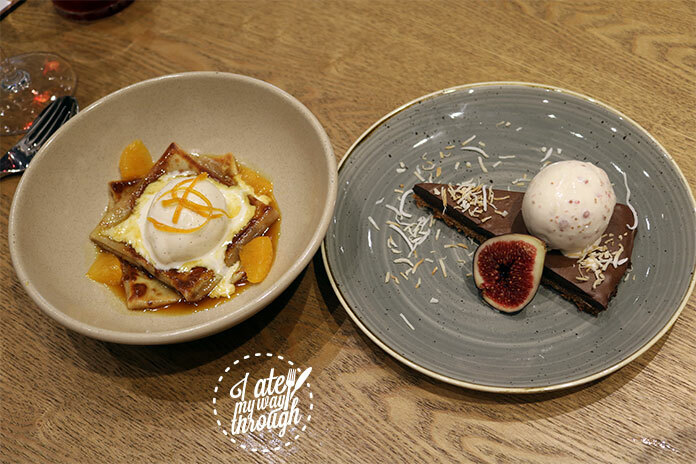 Finally, for dessert, we were treated to the crepe suzette ($9) with vanilla ice cream and chocolate and coconut tart ($9) with figs and toasted coconut. I loved the crepe suzette, they were thin and soft, accompanied with orange segments and the ice cream was amazing. The chocolate and coconut tart was also nice, with a crunchy chocolate biscuit base. It wasn’t too overwhelming or sickly either which you can find with some chocolate desserts. 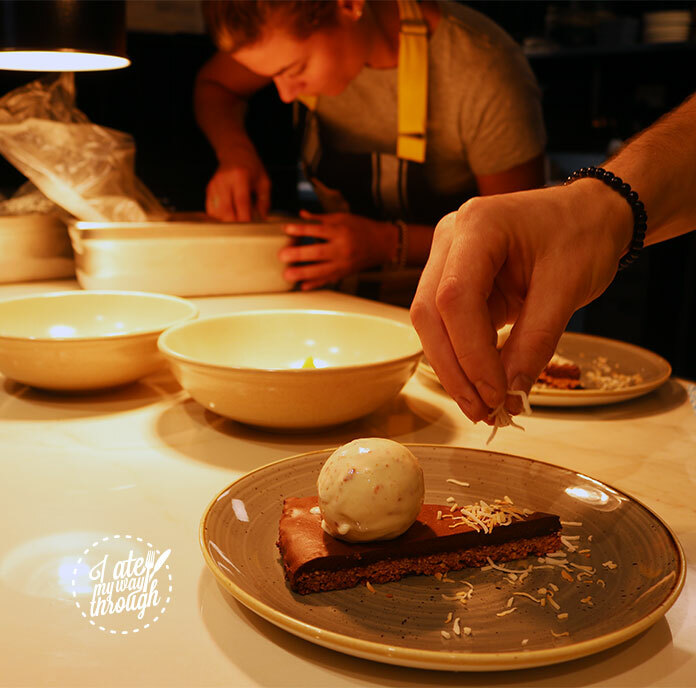 The food and wine menus at Song Kitchen truly are the testament of some very hard working and dedicated women, who should be proud to showcase their passions. Song Kitchen is now reopened and reinvented which a great message to promote and a great cause to assist.